Paradise Lost's utilization of electronic textures does not in any way make them into any kind of a dance band, nor does it justify any metal head's writing them off his short list of credible artists, in fact, this album retains a very heavy atmosphere and is one the best albums this year. This is a solid record from front to back, definitely a worthy follow-up to the awesome Draconian Times. 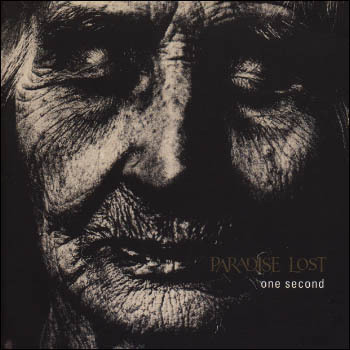 Each song carries with it the trademark Paradise Lost grandeur and despite the electronics, sounds very doomy. People who refuse to support this album because of their new approach are simply missing out. One could hardly expect Paradise Lost to another Draconian, after all, Paradise Lost has been a consistently evolving band since it's inception. Listeners whose first introduction to PL came with Icon or Draconian Times can hardly believe that it's the same band blasting away on Lost Paradise. With every album that they release, there is always some who accuse the band of "selling out". While it does seem convenient that Paradise Lost's first venture into electronica comes at the peak of the genre's popularity, they have definitely retained their integrity and their ability to make a great metal album. Highlight tracks include the awesome 'One Second' as well as the catchy 'Say Just Words' and 'Disappear'. The album is actually darker and more depressing, in my opinion, than the almost Metallica-style of it's predecessor. There is nothing wrong with a slight shift in musical direction for a band, in fact, the ability to evolve and create refreshing music with each album, as PL have done, is an ability to be applauded.